Harry & David, Leading US food gift retailer, selected BrightSign for their first digital sign implementation in the arrival hall of the newly-opened Jackson County Airport in Medford, Oregon. 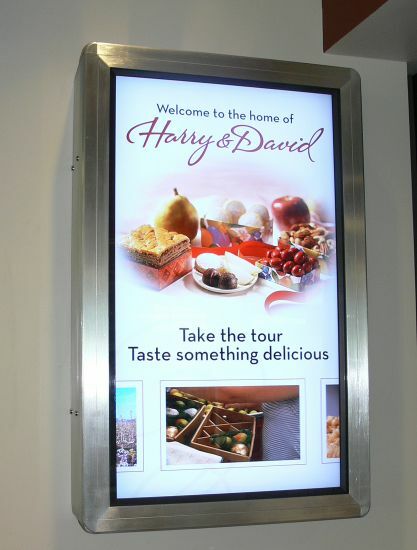 The digital sign is seen by 300,000 passengers a year and invites visitors to take a tour of the nearby Harry & David plant and to "Taste Something Delicious" both during the tour and at the company's Country Village retail store. Portrait mounted 42-inch flat panel display mounted in a custom-built enclosure for the display and BrightSign.